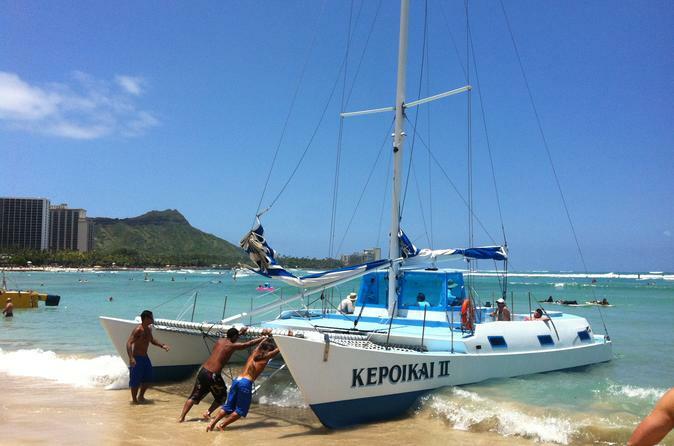 Charter your own catamaran cruise off the Waikiki Beach for your friends and family. Ideal for special occasions, team bonding outings and family gatherings. The catamaran can accommodate up to 37 passengers and does include a small bathroom on board. Gather up friends and family and indulge yourselves on the private cruise off Waikiki Beach. The United States Coast Guard inspected catamaran cqn carry up to 37 passengers while you sail around Waikiki and Diamond Head. It's perfect for a small group and for special occasions such as family reunions, wedding parties, graduation parties and more. It is very affordable yet you will feel like a millionaire.